Precook them first or they might be tough like mine were. Enjoy! Thanks great recipe…will try asap! I love grilling them! Just steam them first, cut them in half the long way, brush with oil (or whatever) and grill. Probably how I should have done the roasted ones. 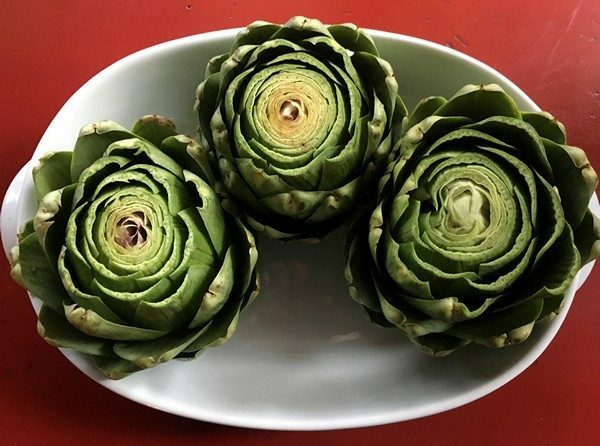 Totally love artichokes. 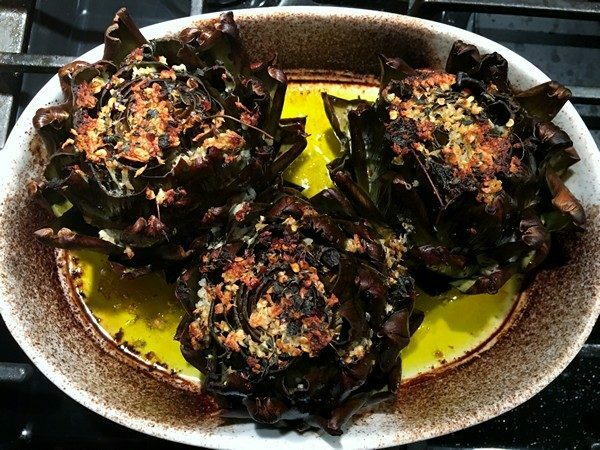 But I threw two artichokes (I love grilled vegetables!) on the grill last fall. Despite cooking for an hour, they were tough and pretty tasteless. 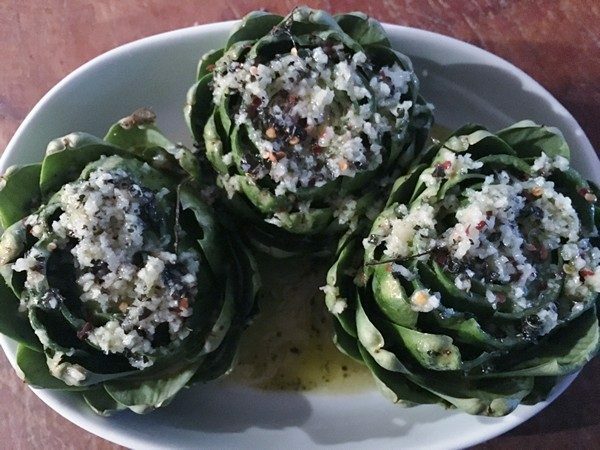 I’m curious to try this recipe, altered to include your suggestions.